Just a few weeks ago, there was talk about oil hitting $100 US a barrel after crude prices hit a four-year high in October. That's a feat that hasn't been achieved since 2014 before the commodity market came crashing down. But since then, oil prices have tumbled around the world — briefly falling into bear market territory this week. That means benchmark West Texas Intermediate (WTI) oil in New York plunged more than 20 per cent at one point on Tuesday from last month's peak of $76.90. On Wednesday, oil was trading around $61 US per barrel after prices fell for eight straight days. Reports Wednesday about plans from the influential Organization of Petroleum Exporting Countries (OPEC) to discuss cutting oil production next year in response to increasing global inventories also did little to boost prices. Even with the month long decline, however, some analysts aren't ready to write-off the significant recovery that's been taking place in the oil market this year. "I think the market is kind of getting ahead of itself now," said Michael Loewen, commodity strategist at Scotiabank. "The narrative of an emerging recession and bear market played out. We saw what happened with the equity markets, and even in the rates [bonds] markets." "Both of those markets are starting to recover. Obviously, you're going to take your risky assets [like crude oil] with you." Crude oil futures, like many commodities, are generally considered riskier assets for investors compared to bonds due to price volatility. Stock markets have been climbing higher since "Red October," when investors suffered some of the biggest losses this year amid wild swings in equities. But, oil prices haven't followed suit because the prospect of U.S. sanctions on Iran's oil exports led other big producers like Saudi Arabia, Russia and the U.S. to boost production in order to make up for any shortfall in global supply. "There's this misconception here that the market is completely swamped with excess supply ... We think that's a bit of a fallacy," said Michael Tran, managing director of RBC's Global Energy Strategy. "Many people in this market are quite spooked by the idea that supply is coming in a large size, and demand growth is potentially slowing." Data from the Energy Information Administration (EIA) in the U.S on Wednesday showed that crude stockpiles grew more than forecast by 5.78 million barrels from the week before. But, Tran said there is a disconnect between the physical and financial side of the oil market right now and that's bringing down the price. "I think there's a major difference between a market that is well-supplied, and one that is over-supplied, and right now we're in the well-supplied camp," he said. "In the physical market, barrels are selling with relative ease." Tran added that on a seasonal basis, generally in October and November, is when oil refiners shut down for planned maintenance. "Right now what you're seeing is a pretty heavy maintenance season playing out. So, there's less buying happening in the market," Tran said. "That's a seasonal factor, and we do ultimately think that demand will pick up through the balance of this year to the next several quarters." Tran expects to see oil prices back into the low $70 a barrel range by the end of this year. That's a more than eight per cent jump from the current price. He's calling for it to go even higher next year into the mid $70 range. Not everyone is convinced that the hurdles in the oil market will clear so soon. Karl Schamotta, chief market strategist at Cambridge Global Payments, said a combination of factors such as tightening global financial conditions like higher interest rates, deleveraging in China, which is reducing the country's appetite for energy exports, and fears over trade tensions could weigh on the market a bit longer. "Overall, although oil demand growth is likely to weaken in the longer term, my feeling is that oil prices could rebound into the end of the year," Schamotta said. 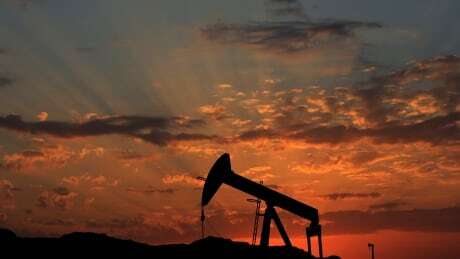 In terms of how global oil prices will impact the Canadian energy market, analysts said the huge discount between Canada's benchmark crude oil — Western Canadian Select (WCS) — and WTI could start to narrow next year. Currently, WCS is trading around $18 a barrel, while WTI is at $61. A supply glut caused by a lack infrastructure such as pipelines and rail capacity to transport crude exports to key markets like the U.S. has plagued the sector. "I believe that rail is going to clear the market in by spring time ... That's when the market starts to get better," said Loewen. "Then you have Enbridge Line 3 coming online in November 2019 ... It adds 350,000 barrels per day and that has massive implications for WCS." Schamotta added that after the widest oil refinery shutdowns in the U.S. Midwest in at least a decade, a number of major refiners are due to restart production in the next couple of months. "Canadian producers should begin to earn more revenue from each barrel shipped," he said. But, Loewen warned that an increase in exports does not mean the Canadian market is "out of the woods." "We still need another pipeline. We need a Trans Mountain expansion project or a Keystone XL to really see the fruits," Loewen said.